There is a reason why you can find many digital nomads in Bangkok. The city is home to many established cafes and brew bars where you can do some work in peace or simply to chill and rest your weary feet. 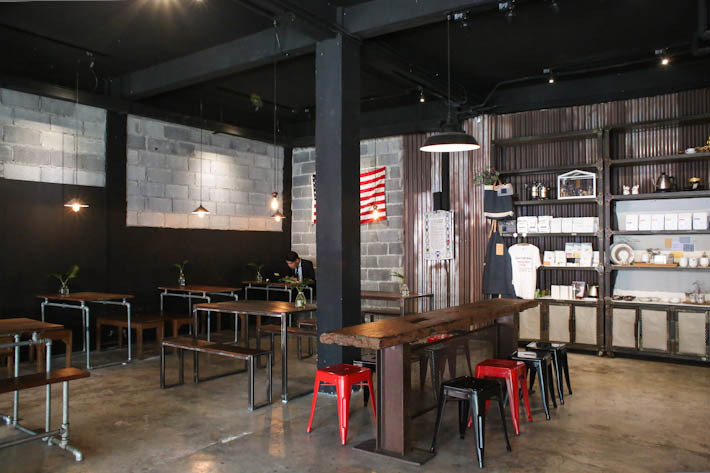 One such place to settle in and escape from the crowd is Factory Coffee. 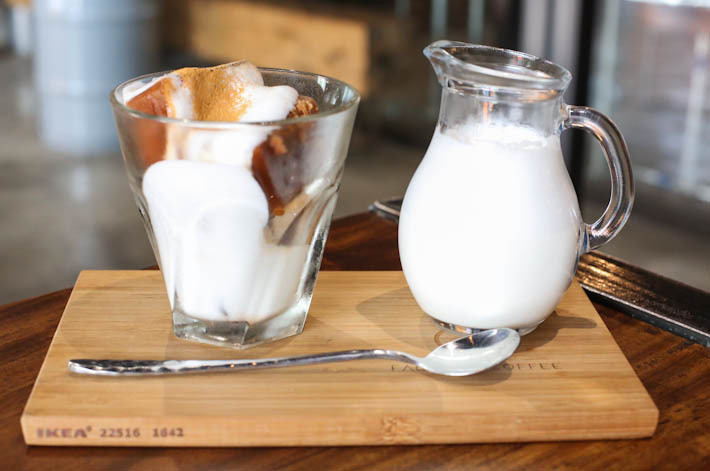 As one of Bangkok’s pre-eminent coffee venues, the cafe is centrally located near to Phaya Thai BTS station and offers a straightforward menu featuring their signature coffee drinks and a selection of baked goods. 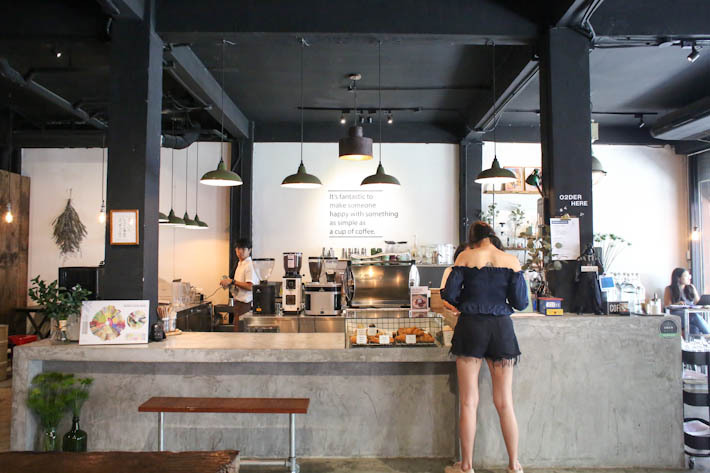 As the cafe’s name suggests, Factory Coffee looks just like a modern factory—complete with cement brick walls, exposed filament light bulbs and dark wooden furniture. The large communal tables are perfect for groups of friends or colleagues and the spacious set up makes it easy for you to walk around. Caffeine addicts have to give their Flat White (THB120/S$4.93) a try. The rich espresso is heavy on the palate and came with a slightly bitter after taste. We liked how the barista balanced it with creamy milk and a layer of thin foam on top. 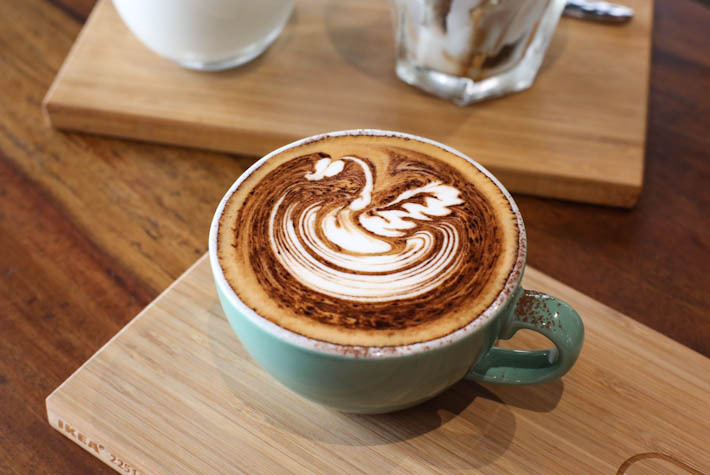 It is not just the taste that impressed us—even coffee art is taken seriously too. Take a closer look and you will notice the fine details of the foam swan’s feathers. It would certainly be a waste not to take a picture! 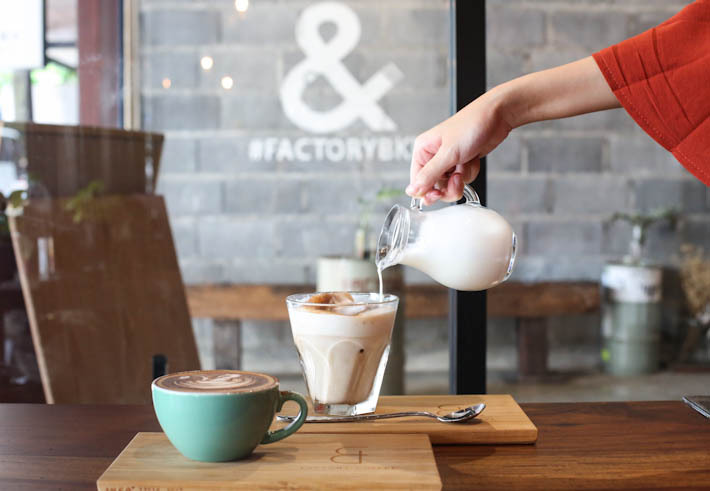 Not to worry if you are not a coffee person because Factory Coffee also has a selection of non-caffeine beverages. The one that caught our attention is the Slow Chai Tea (THB120/S$4.93). It is interesting to note that the chai tea has been frozen into ice cubes before they are served. Pour the hot milk in and you can watch how the chai tea cubes melt slowly. This way, your drink becomes richer as the time goes by. Say goodbye to diluted ice drinks!